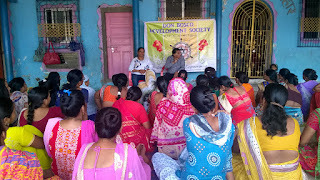 Mumbai, 12-August-2017: The Don Bosco Development Society (DBDS), Mumbai had organised a 2 days training program on small scale business for the slum women. Self Help Group members from the slum of Nithyanand Nagar, Ghatkopar – took part in this program. 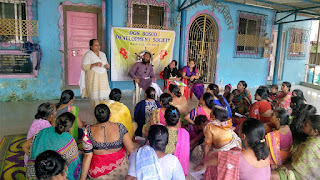 The main objective of the programme was that the women should start small scale business and earn some extra income. Mr. Pradeep Moon (Regional Director - Central Govt. Board) and Mr. Prashanat Shiran (local entrepreneur) was the resource person for the training. During these 2 days women learnt several topics including: how to start a business, how to obtain loans, where the raw material is available, etc. They also learnt about marketing, costing, budget, pricing and promoting their product. 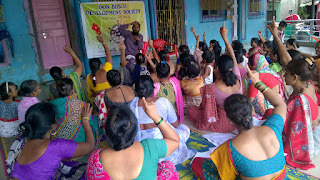 The participants dedicatedly learnt the skills and were determined to start a small business. The two day long workshop ended with a vote of thanks proposed by Mrs Zarina Khan (field staff – DBDS).